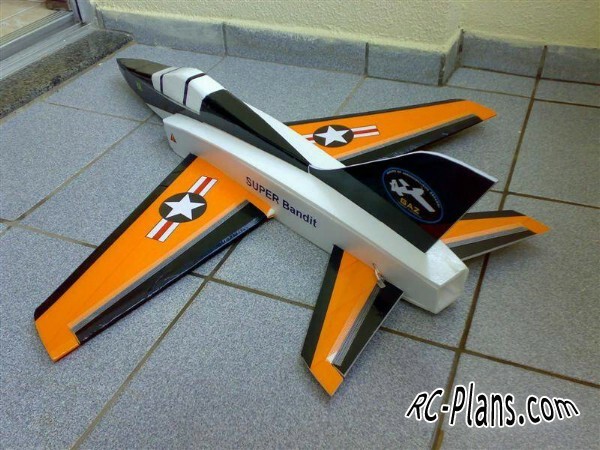 The drawings of the RC aircraft model are presented in two versions: for the pushing motor and impeller. 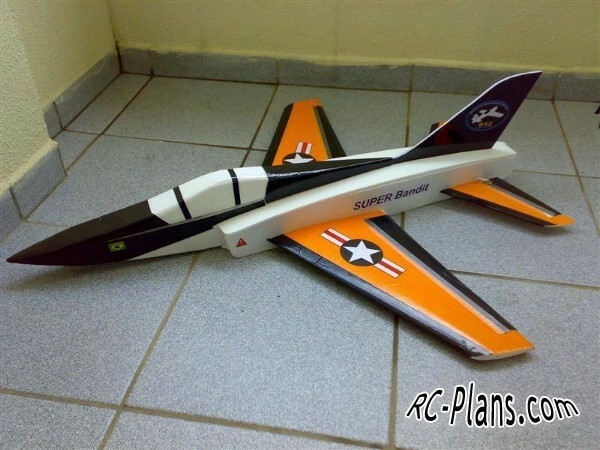 This is simply a scaled-down version of the Super Bandit, adapted for sheet foam construction using the same construction techniques as the rest of my park jet designs. 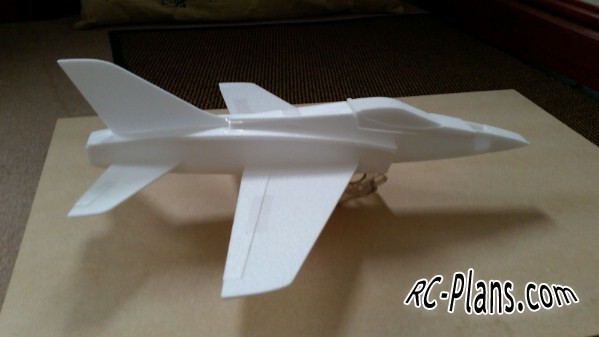 In fact, the structural design of this model is almost identical to my T-38 park jet (so you can use the T-38’s construction manual as a guide to build it). About the only design change I made to the scale outline was to scale up the vertical tail area about 20%, as I usually do to compensate for the torque and gyroscopic effects of the pusher propeller and to provide better small-field handling. This ship was specifically intended for SPEED! Thus, I sized it a little bit smaller than the other park jets--220 sq in wing area instead of 250 sq in, plus it has a much smaller and lower drag fuselage than my other park jets. This sizing should allow the model to be either a good parkflyer or an all-out speedster, depending on how you set it up. I did a quick analysis in MotoCalc to determine the best power setups for this model, and the results are shown in the table attached below. I only ran Himax motors for this analysis just to keep it quick and because I’m a real fan of them. Best Parkflyer Setup: Himax 2015-4100, TP 1320 mAh 11.1 V lipo, APC 9x7.5 prop, 15+ amp ESC. This model should weigh about 16 oz with this setup, will pull about 15 amps, and will have a top speed of just almost 60 mph. 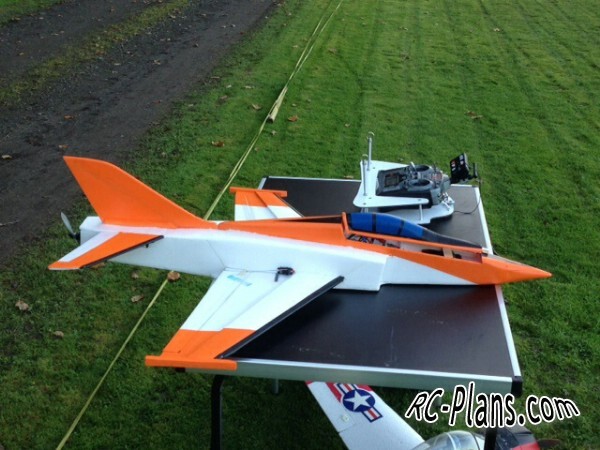 The light weight with this setup will make the model very maneuverable and great for small-field flying. 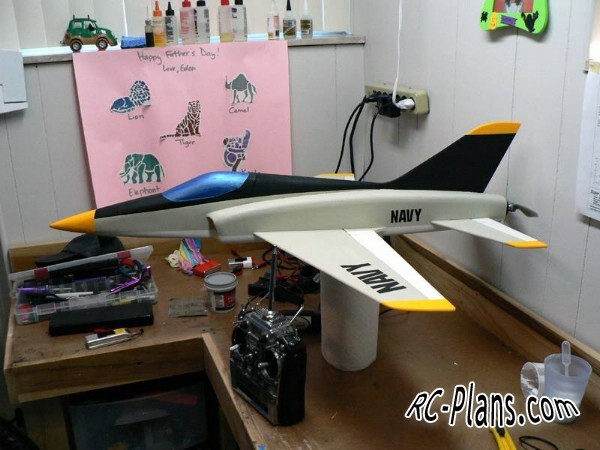 Note that since the forward fuselage on this design isn’t nearly as long as the other park jets, it will have a difficult time balancing with this lightweight battery. So try to make the back end as LIGHT as possible and put all the internal components (receiver and servos) as far forward as possible. Plans are posted below in both tiled and non-tiled formats.